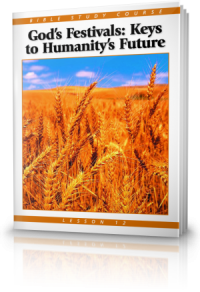 God's people are commanded to fast on the Day of Atonement from sundown to sundown (Leviticus 23:27-32). The Day of Atonement is a spiritually uplifting but physical challenging day. It is the only Feast of God when we are commanded to fast. The Bible, however has much more to say about this very important but oft-neglected spiritual key - Fasting. God desires and expects His followers to fast, and not just on the Day of Atonement. Fasting is an important part of building a right and strong relationship with Him (Luke 2:36-37; Acts 13:2). Even though going without food and water for 24 hours caused me to become physically weak, I celebrated – I celebrated the awesome significance of this very special Holy Day – the full and complete reconciliation of God and humankind. 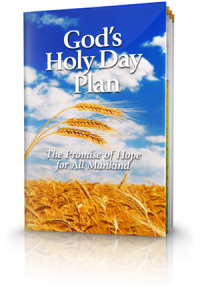 To learn about the meaning of the Day of Atonement and its accompanying fasting, and how you can have a personal and intimate relationship with God please request our free Biblestudy aid - God's Holy Day Plan: The Promise of Hope for All Mankind.